Ida (Darwinius masillae): the Missing Link at Last? Does Ida, the latest “missing link,” really support human evolution? Researchers have identified a new “missing link” nicknamed Ida. The allegedly 47-million-year-old fossil was discovered in Germany. Despite the headlines, Ida gives no support to primate (or human) evolution. For all the headlines and proclamations, this “missing link” story includes an amazing amount of hot air. Formally identified as Darwinius masillae (in honor of Charles Darwin), the fossil originated in Germany and is purportedly 47 million years old. One scientist gave the find the nickname Ida (after his daughter). Despite the hype, Ida looks nothing like a transitional “apeman,” instead looking quite like a modern lemur. Anthropologists have long believed that humans evolved from ancient ape-like ancestors. Some 50 million years ago, two ape-like groups walked the Earth. One is known as the tarsidae, a precursor of the tarsier, a tiny, large-eyed creature that lives in Asia. Another group is known as the adapidae, a precursor of today's lemurs in Madagascar. Based on previously limited fossil evidence, one big debate had been whether the tarsidae or adapidae group gave rise to monkeys, apes, and humans. The latest discovery bolsters the less common position that our ancient ape-like ancestor was an adapid, the believed precursor of lemurs. The well-preserved fossil (95 percent complete, including fossilized fur and more) is about the size of a raccoon and includes a long tail. It resembles the skeleton of a lemur (a small, tailed, tree-climbing primate). The fossil does not resemble a human skeleton. The fossil was found in two parts by amateur fossil hunters in 1983. It eventually made its way through fossil dealers to the research team. Unlike today’s lemurs (as far as scientists know), Ida lacks the “grooming claw” and a “toothcomb” (a fused row of teeth) In fact, its teeth are more similar to a monkey’s. These are minor differences easily explained by variation within a kind. Haven’t heard the real story of this supposed scientific breakthrough? 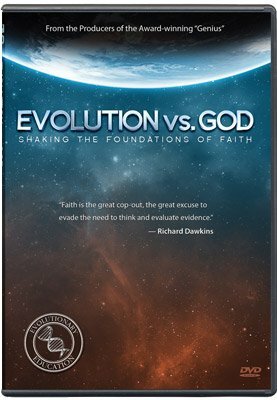 Read the criticisms other evolutionists have made of the “missing link” claims and the science behind them. Nothing about this fossil suggests it is anything other than an extinct, lemur-like creature. Its appearance is far from chimpanzee, let alone “apeman” or human. A fossil can never show evolution. Fossils are unchanging records of dead organisms. Evolution is an alleged process of change in live organisms. Fossils show “evolution” only if one presupposes evolution, then uses that presupposed belief to interpret the fossil. Similarities can never show evolution. If two organisms have similar structures, the only thing it proves is that the two have similar structures. One must presuppose evolution to say that the similarities are due to evolution rather than design. Furthermore, when it comes to “transitional forms,” the slightest similarities often receive great attention while major differences are ignored. If evolution were true, there would be real transitional forms. Instead, the best “missing links” evolutionists can come up with are strikingly similar to organisms we see today, usually with the exception of minor, controversial, and inferred anatomical differences. Evolutionists only open up about the lack of fossil missing links once a new one is found. Sky News reports, “Researchers say proof of this transitional species finally confirms Charles Darwin’s theory of evolution,” while Attenborough commented that the missing link “is no longer missing.” So are they admitting the evidence was missing until now (supposedly)? [B]ecause the fossil is similar to a modern lemur (a small, tailed, tree-climbing primate), it’s unlikely that creationists need any interpretation of the “missing link” other than that it was a small, tailed, probably tree-climbing, and now extinct primate—from a kind created on Day 6 of Creation Week. Much of the excitement over Ida appears to stem from a well-coordinated public relations effort to promote an upcoming documentary and a new book titled The Link. The documentary will air on the History Channel in the U.S. (as The Link) on May 25 at 9 p.m. ET/PT. It will air on BBC One in the UK (as Uncovering Our Earliest Ancestor: The Link) on Tuesday May 26th at 9 p.m. Filmmaker Atlantic Productions even launched a website to promote the discovery, revealingthelink.com. Yet as Hurum commented, “This fossil will probably be pictured in all the textbooks for the next 100 years.” So while the media rush may at first be a bid to promote the documentary and book, the ultimate result is one more trumped-up “missing link” presented to future generations as evidence of evolution. 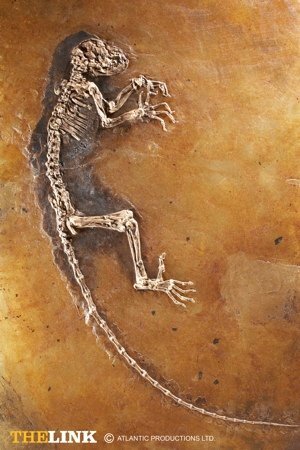 Ned Potter, “Primate Fossil Could Be Key Link in Evolution,” ABC News, May 19, 2009. Alex Watts, Scientists Unveil Missing Link in Evolution, Sky News Online, May 19, 2009. J. L. Franzen, et al., “Complete Primate Skeleton from the Middle Eocene of Messel in Germany: Morphology and Paleobiology,” PLoS One 4(5), 2009. Because of the location of this fossil, it may have been buried by a post-Flood period of residual catastrophism amid an unstable climate. “Fossils from the Messel site,” The Guardian, n.d.